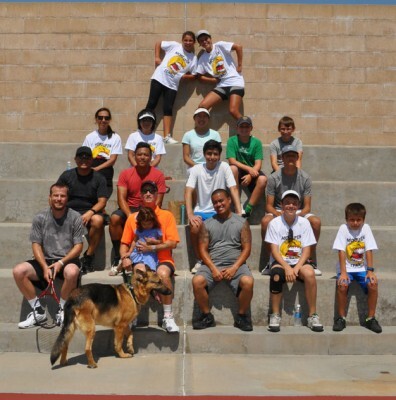 GSROC is grateful for the support of our adopter Tim Ludeke and More Spin Tennis Academy! Tim is the adopter of Starsky, now known as Hank, and he wanted to help GSROC and the dogs we care for. Recently, Tim, a Certified Elite Tennis Professional and Coach, put on a tennis clinic to raise funds for us. There were over 20 participants who were able to test new tennis equipment, receive instruction from various tennis professionals and play in a mini-tournament. A good time was had by all! We appreciated his hard work in organizing this fund-raising event. Thank you to Tim and his sidekick Hank!